Hello! Guess what? I got all my assignments handed in. I'm slowly starting to feel human again and who knows, tomorrow I might even wrap some presents and start to feel christmassy! I was sent this rather fab onesie for Pops from the lovely folks at The Hut. They have a small but beautifully shaped range of Text Santa merchandise, a minimum of 25% from each garment goes to the five charities supported by them. Standard orders placed before tomorrow should arrive before Christmas and next day delivery is available up until the 23rd of December. 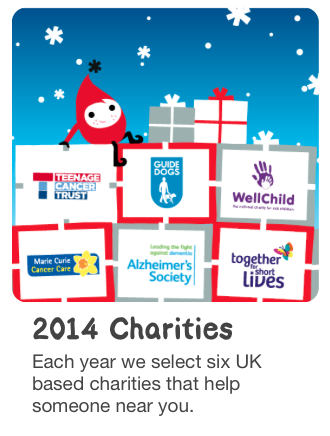 They make a fab Christmas gift and you can help these brilliant charities in the process! 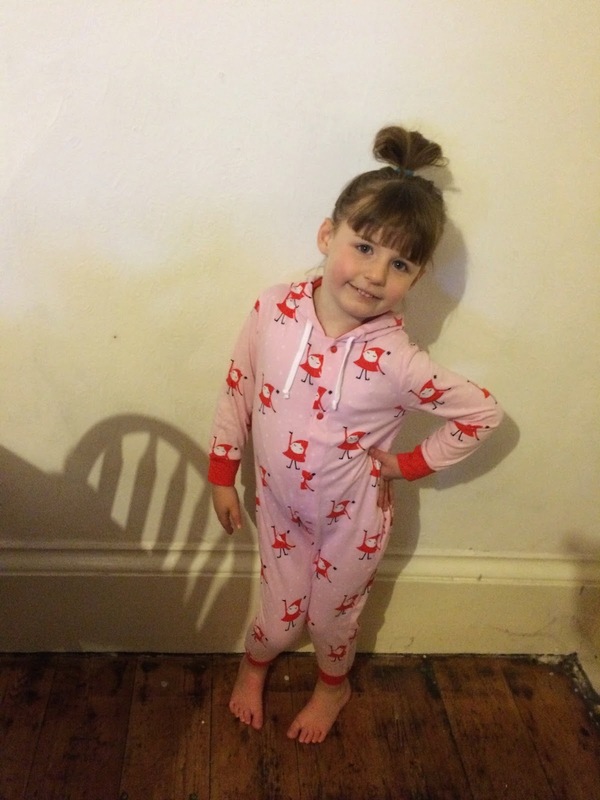 Poppy is wearing the 4-6 years size. I'll be honest it's a bit small. 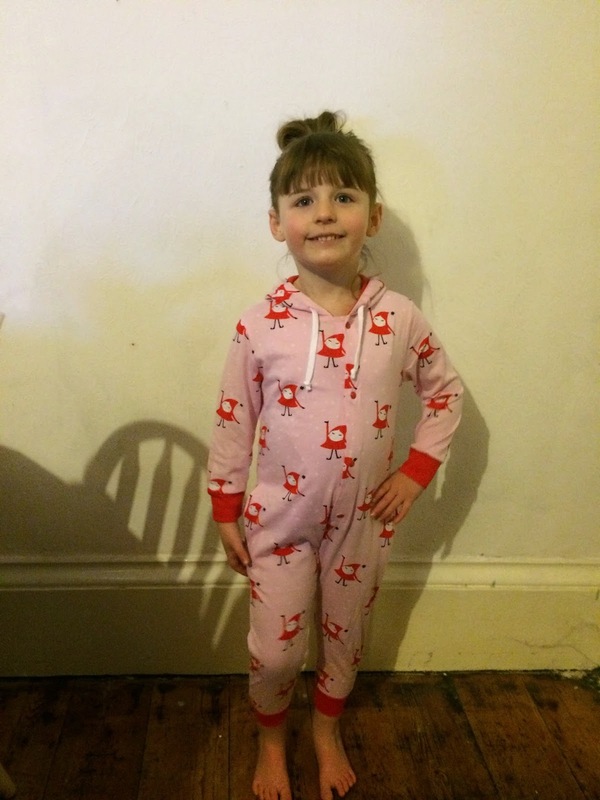 Poppy is 4, granted she is pretty tall, but you might want to size up a bit! It's made of a lightweight jersey, with popper fasteners to the front. 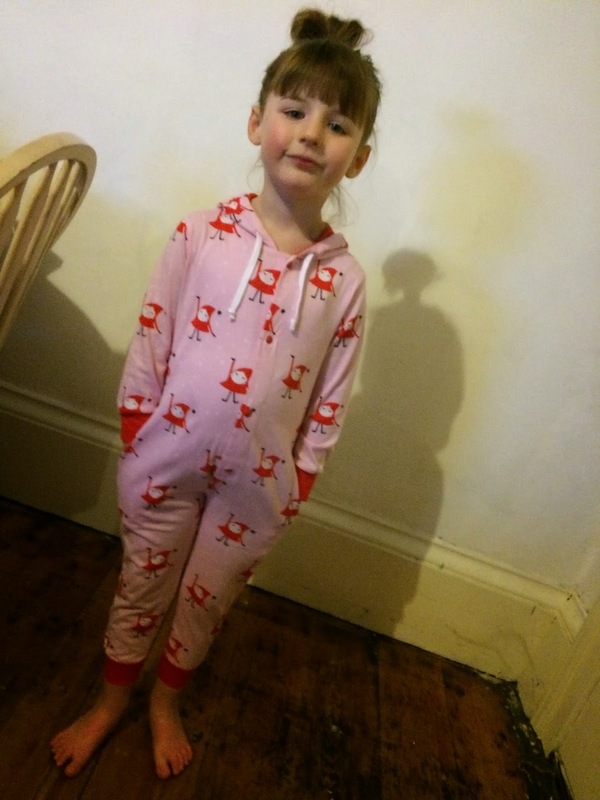 As you can see it has a hood and drawstring which means (for me at least) it's not a sleeping onesie (for safety reasons) but it's perfect for bombing round the house when she gets home from school. 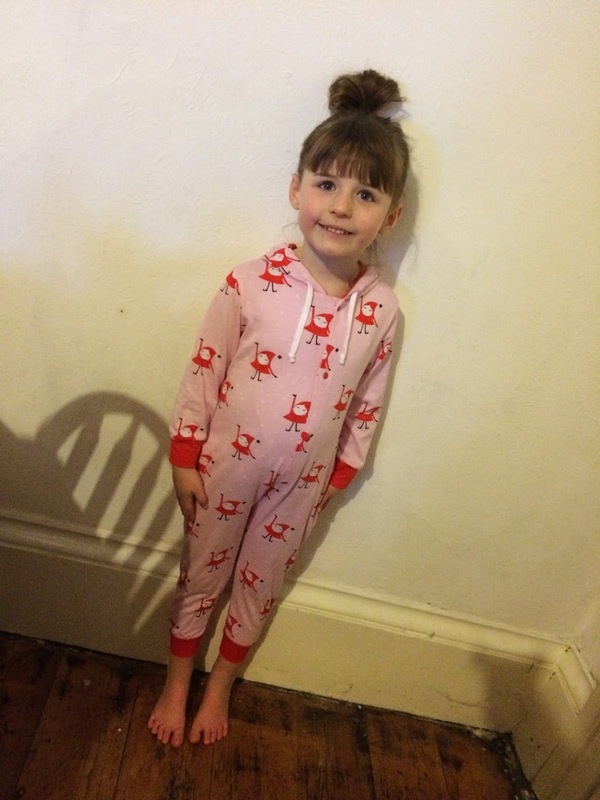 As we got this garment sent to us, we thought it was only fair to make a donation. You can too by texting SANTA5 (or any amount you's like to donate) to 70760. 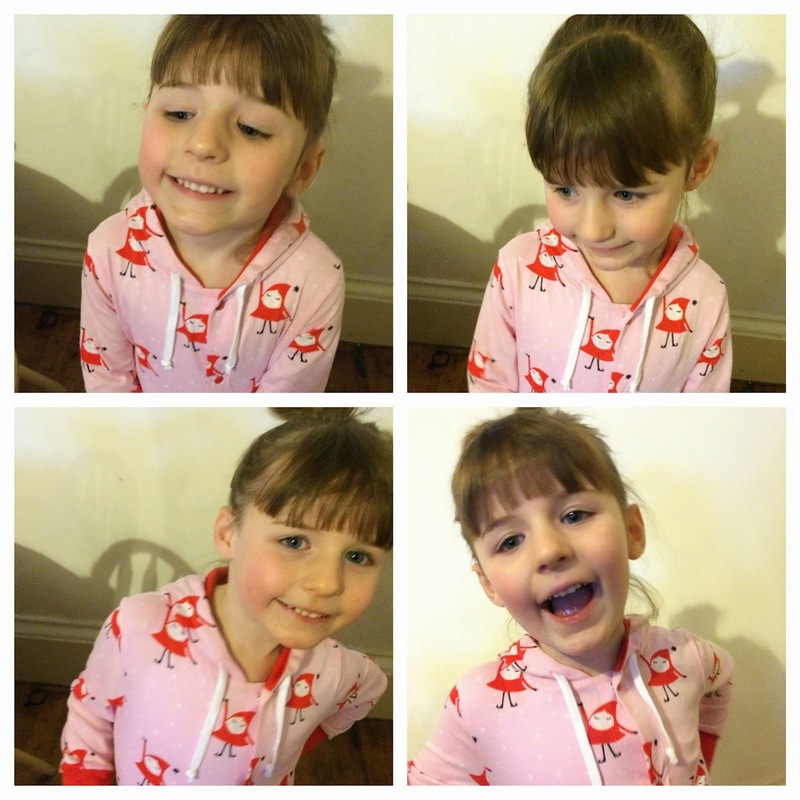 Argh she is so cute!